According to a research by Content Profs and Content Marketing Institute, 60% of marketers claim that producing content is their biggest challenge. Content repurposing can be a great solution to that as long as this content is optimized and brings value to the target audience. 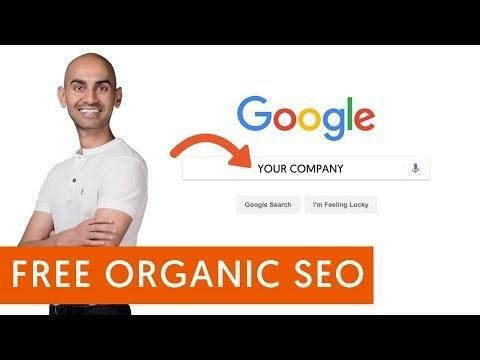 It’s also a fact that over 50% of all website traffic is generated by organic search. If it’s really so, repurposing optimized content can bring you twice as much traffic as it targets new audiences. As you can see, content repurposing is a great marketing strategy that can work miracles for your business. 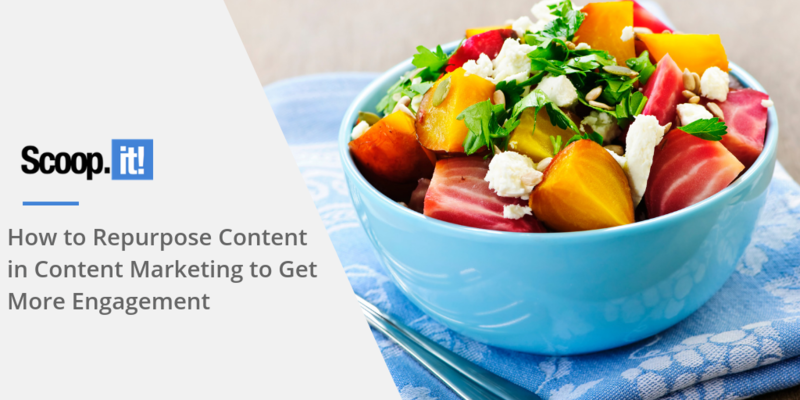 Now, let’s take a look at some tips on how you can repurpose content to get more engagement. Show a more practical side of your business by turning your existing content into case studies. If you’ve collected lots of data that is connected to your business activities, you can turn it into a very good and thorough case study that will not only show the work that you’ve done but will also demonstrate your excellent expertise. “Over the past year we’ve done a lot of retail market research based on our own experience of working with clients and promoting our real estate business. During the year we’ve seen how different content marketing strategies worked for us. Brian says that creating case studies is only relevant when you have a decent amount of data to back your claims. In general, case studies bring a lot of value to the readers, they are industry-oriented and can target a very specific type of audience, which you can benefit from. If you have a series of posts that do really well with your target audience, you can use them to start a podcast. A podcast is a much-underappreciated type of content, and it’s a shame. According to the fresh statistics, 44% of the U.S. population have reported listening to a podcast. And, in comparison to other types of content, 80% of podcast listeners claim that they’ve listened to the whole or most of the podcast. In terms of target audience, podcast hits both male and female listeners, 44% women and 56% of men claiming they listen to a podcast on a daily basis. Repurposing your content and turning it into a podcast is a great idea for generating more engagement. All you need to do is to analyze how your existing content is performing and single out the topics your audience is the most responsive to. Consider podcast as a way to repurpose your content. This type of content doesn’t get as much attention as it deserves. It can be a goldmine for you to increase engagement. People prefer different types of content. 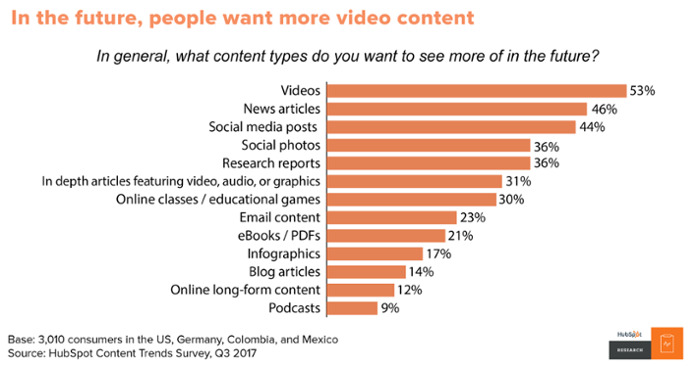 According to the research by HubSpot, a video is the most preferred type of content, followed by news articles, social media posts, and photos. In terms of repurposing content, the most widespread way to do it is to turn your written content into video tutorials or webinars. If you have enough expertise working in a certain field and enough content you’ve written on the related topics, you can turn it into video tutorials, which will allow you to hit new platforms and engage new audiences. Thus, he gives his audience several options, how they can get themselves acquainted with this topic. He recycles his existing content by creating educational videos out of it. Not only he gets more engagement by doing so, but he also gets more revenue by making his presence on a different platform. As you can see from the examples and stats that were given in this article, repurposing content can be really beneficial for your content marketing strategy in terms of getting more engagement. Hopefully, these 3 tips will help you come up with new ideas, how you can recycle your content and engage new audiences.